I’m beyond excited to announce that you can now pre-order my dear friend Erin‘s incredible cook book. 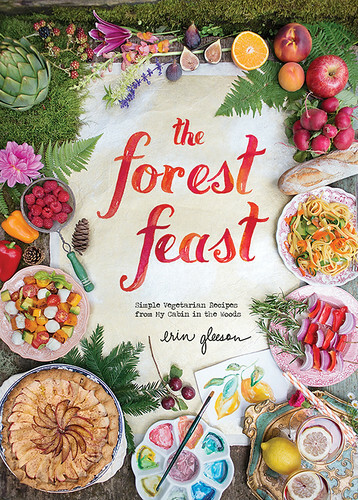 The Forest Feast, hits shelves in April. It’s based on Erin’s blog and features 100 (mostly new!) vegetarian recipes. I’ve known Erin for over a decade, we used to live in the same building. Erin always had the best parties with amazing food, the kind of recipes where you say to yourself, “I can make that…but she makes it look so gorgeous”. Whatever she makes, no matter how do-able, she elevates it. Now you get the inside scoop and this stunning book for your coffee table…or kitchen counter as it may be. 2 Responses to The Forest Feast cookbook! OMG! This looks sooo good. I want it for Christmas gifts. I know – patience is a virtue.